journal. That they were appreciated is proved by the fact that hundreds of enlargements have been bought by readers. 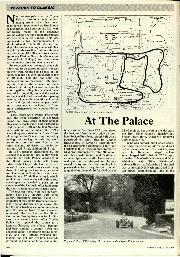 In spite of this journal's generous treatment of Donington Park, the authorities have refused to renew the Photographers' Track Pass held by MOTOR SPORT since Donington first opened as a motor racing centre. walking back to his pit. The transmission had failed, and the leader was out . 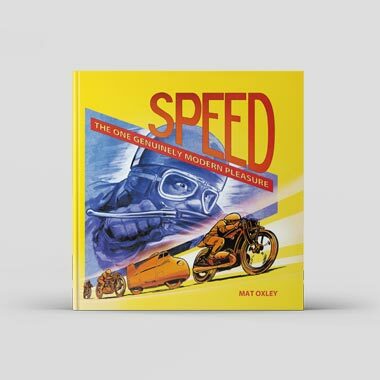 . .
Maclure, bareheaded as usual, goggles on his forehead, was waved on and clapped by an expectant crowd, yet he drove as steadily as ever, permitting himself only slightly increased tail wags at the bends. On lap 56 Mays was about 9 secs. behind, at lap 55 he had been 15 secs. to the bad. of being able to make use of their own staff. From this it follows that henceforth we shall be unable to publish exclusive photographs. 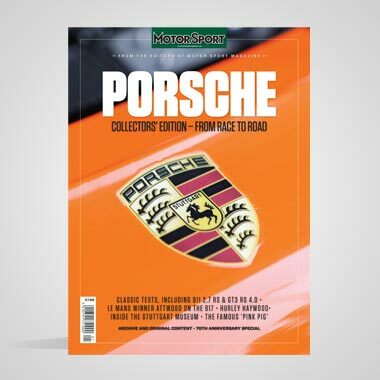 Finally, the agency photographs will have been seen elsewhere before a monthly journal like MOTOR SPORT is published, and they will, therefore, be "stale." 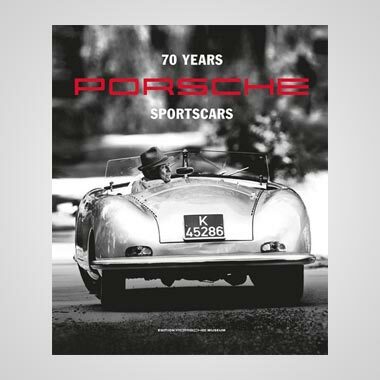 Except in the case of certain Continental races, on which it is not always possible to obtain photographs, MOTOR SPORT is adverse to publishing unillustrated race reports. 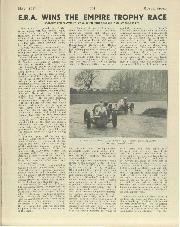 It has therefore been decided to omit all reference to Donington Races in MOTOR SPORT in future, until such time as the authorities revoke their decision in regard to renewing this journal's Track Pass. 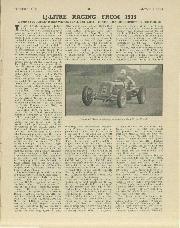 It is not too much to say, of all motoring journals, MOTOR SPORT should have been at the head of any list of Track Pass holders, for during the past fourteen years It has given a more comprehensive survey of motoring sport than any other journal In this country, and its readers number some 16,000. Its established position is fully recognised by the Press Committee at Brooklands and also the Crystal Palace authorities, from both of whom Track Passes are received without application. 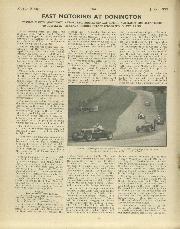 It is not without careful consideration and deep regret that we have taken this step, as we would not only have preferred to maintain the good relations previously enjoyed with Donington, but also we fully realise that our readers will be deprived of those illustrated reports of Donington Races which have been a feature of MoToa SPORT since the Midland Road Circuit first opened its doors to the public. M.G. cars, and that they have been highly praised by the M.G. Car Co. Ltd. Particulars are available from him at 343a, Pinchley Road, N.W.8. 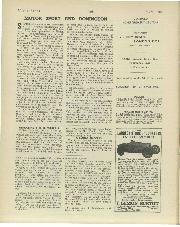 The Lucas Vertical Magneto, as was described in MOTOR SPORT last month, was used on the Austin Seven with which Charlie Dodson secured a highly popular win in the Empire Trophy Race at Donington. followed these final laps. 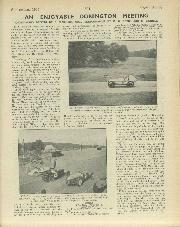 Maclure, driving the race of his life, still kept ahead. Mays braked at the last possible moment before the corners and spun his wheels on accelerating. Surely the blown car must catch the unblown on the banking or along the Railway Straight ? But no Maclure swung off the banking in the lead, Mays closing rapidly. It seemed that the E.R.A. must do it yet, but both men made no mistake at the very last corner and, accelerate as he could and did, Mays was 0.02 m.p.h. slower than Maclure, bare lengths behind as they hurtled over the line.